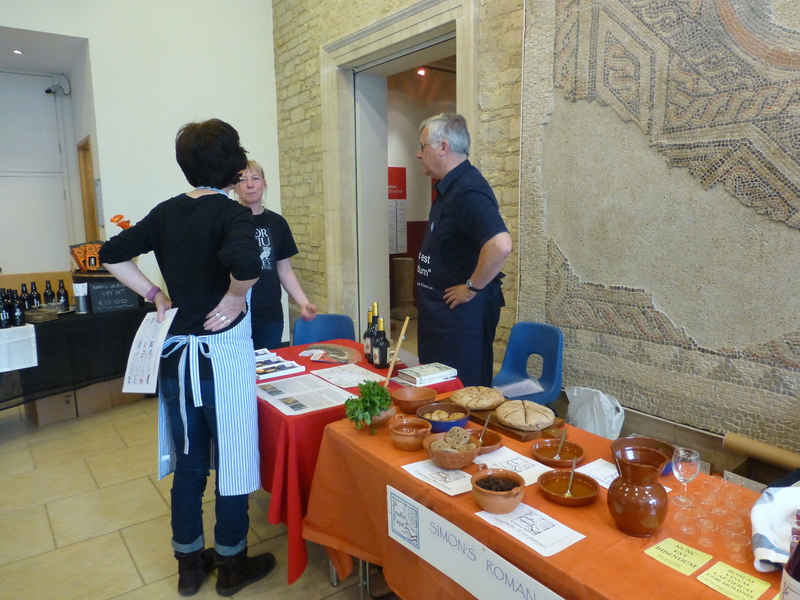 Last weekend we had a great time tasting, sniffing and touching Roman food and food remains. For those of you who couldn’t make it, or for those who want more, here are recipes for some of the food from the festival. Sampling some of these recipes at the festival. Mulsum was a wine flavoured with spices and sweetened with honey, mixed in just before it was drunk. 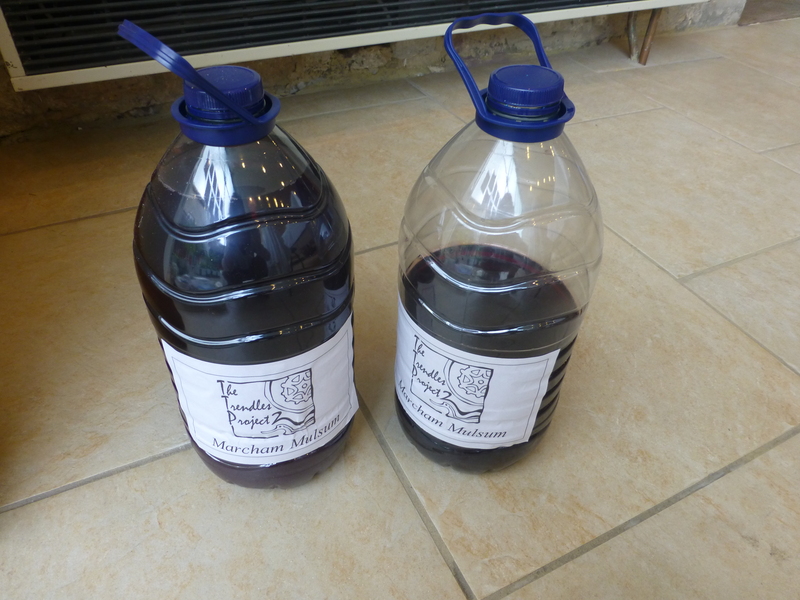 The taste is similar to mulled wine, but more watery. This will make about 4 cups and can be stored in a refrigerator for up to 5 days. If you are using a thick honey, you may need to blend the wine, water and honey before adding in the spices. Simon’s ‘Marcham Mulsum’ – are these the modern equivalent of amphorae? Moretum is the name given to a dish prepared in a mortarium or grinding bowl – like a modern pestle and mortar. It is often made of fresh cheese, herbs, olive oil and vinegar and is very similar to what we call pesto. Virgil, a Roman poet, even wrote a poem dedicated to moretum. Process all the ingredients in a food processor – or to be more authentic, in a pestle and mortar. You can use this as a dip with celery and carrot sticks. You could also spread it on Roman bread – for a recipe, click here. Libum was a special kind of cake used as an offering to the gods that was sweetened with honey. The recipe comes from Cato (De Agricultura 75), but the cakes are also mentioned by Roman poets, like Ovid. Grease a baking tray and cover with the bay leaves. Beat the cheese until smooth. Add the egg and beat until smooth. Slowly add the flour to the beaten cheese and egg. Gather up the dough and gently form into a round ball (for one large cake) or into small balls (for smaller cakes). Place the ball(s) directly onto the bay leaves. Bake in a hot oven (425F/200C/gas mark 7) for c 20-25 minutes, until golden brown and firm to the touch. Remove from the oven and score . Warm the honey and pour over the cake(s). Serve warm. Simon and the Trendles Project with their foodstuffs ready for sampling! 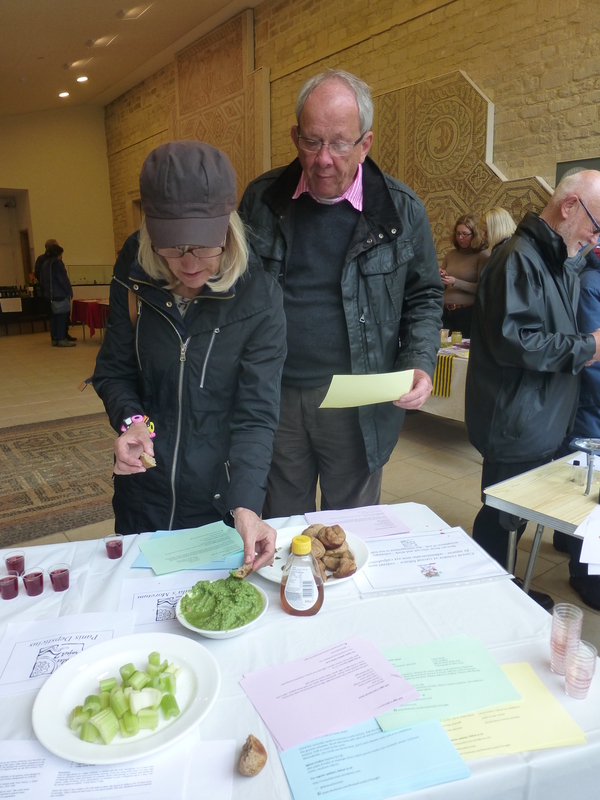 These recipes were cooked and selected for the festival by Simon Blackmore, who is one of the Trendles Project team. We are very grateful to Simon and the Trendles Project for sharing their food with us! To find out more about the Trendles Project, visit their website. This entry was posted in Corinium Exhibition, Recipes and tagged Apicius, cake, Cato, honey, libum, moretum, mulsum, Ovid, pesto, spelt flour, spelt wheat, Virgil, wine on June 5, 2015 by zkamash2013.